Mediterranean honeymoons are some of the most popular overseas honeymoon locations for British couples. 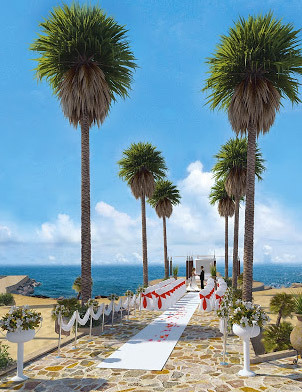 The island of Cyprus has endless stunning sea view honeymoon venues. Or neighbouring Greece, made up of the idyllic Greek Islands and the Greek Mainland offer varying options from top end luxury, to more budget options. Or Turkey, famous for its all-inclusive properties, this country is an up and coming honeymoon abroad location.